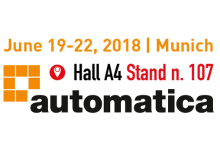 Tuesday 19 June IT+Robotics presents at Automatica, International Exhibition of Automation and Robotics, the new product EyeT+Inspect , a 3D and 2D vision device. 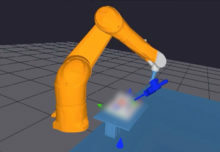 It is a device that integrates two vision technologies, 3D and 2D with the aim of optimizing production processes through the automatic identification and removal of non-conforming products from the production line. 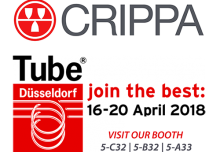 Quality control systems represent 80% of the vision systems market, but the completeness checks are carried out using specially designed mechanical systems, such as photocells or mechanical probes. The disadvantage of these types of systems is the extreme rigidity: they must be configured manually by an operator at every change of process or product. 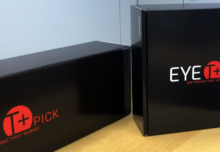 A limitation that has opened the market to vision systems, still mainly 2D. The 2D, trivially, can only give information in two dimensions ignoring for example the height of the object. Another flaw is that it is also too sensitive, both in light and environmental conditions: sometimes a grain of dust on the object being examined is enough to make it discard. The result is often a waste of time and resources on the part of companies. 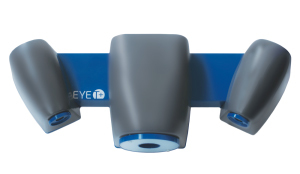 EyeT+Inspect is a device that is easy to use and install, but at the same time accurate and effective with any type of product, designed to be integrated with a robot that manipulates the product in front of the device, making it analyze each millimeter based on parameters quality.